I've made a video comparing the two. Please keep in mind that its difficult for me to change from one to another as the viola is so much bigger and the finger spacings are much wider. Neato. I think the mids sound very rich. The only thing I notice is the top end sounds sort of tinny, and the low end sounds a little muddy. I think it may sound great if some sort of adjustment was made. I've been trying some different strings. A Doninant violin G string seems to have improved the low end a lot. Will do some more with the top end. Well, since the bass bar and the sound post are set per normal range of the viola, would altering these (or at least the sound post) affect the sound? Maybe put a string mute on the upper end. See if sliding the bridge left or right (even forward or back a bit) might affect it differently. Definitely a darker sound. Which do you enjoy the most. For example. The viola has more room for your right fingers. 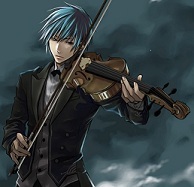 But h violin is a much more comfortable size and it's a great deal lighter. And these are just two of the differences. I'm enjoying them both very much. If I 'had' to choose one over the other, it would be the fiddle.